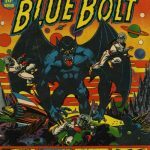 Welcome back to the ComicBookDaily Progressive Shop Profiles! Comic shops often get a bum rap, they’re seen as dingy little holes in the wall that you wouldn’t want to take your mother into. 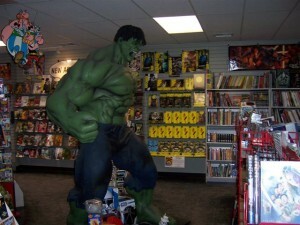 It’s ComicBookDaily’s mission to dispel this false myth by highlighting some truly amazing comic book stores! 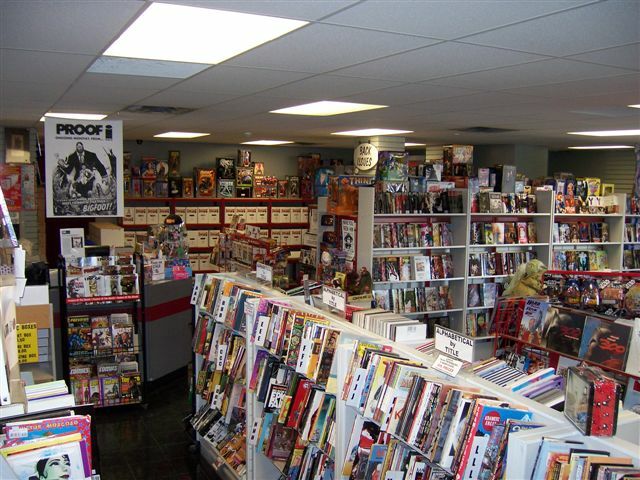 In fact progressive comic book stores are often on the leading edge of innovative retailing, offering unparrallelled product knowledge, unbeatable service and a truly rewarding shopping experience. We’ve designed a set of finely crafted questions, aimed them at these great stores and now pass along the useful information to you comic fans out there. 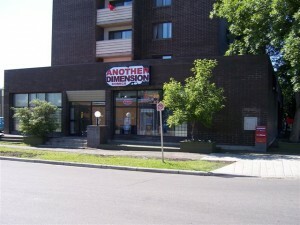 This time around, we’re taking a look at Another Dimension Comics in Calgary, Alberta. 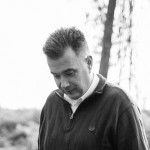 Answering our questions for us is John Tinkess; the owner and founder of Another Dimension. So read on and enjoy! How was the location of Another Dimension decided and do you like it? We’re located in a trendy shopping district close to downtown in Calgary and have moved to several locations along the same street over the last two decades (each time to a bigger space). 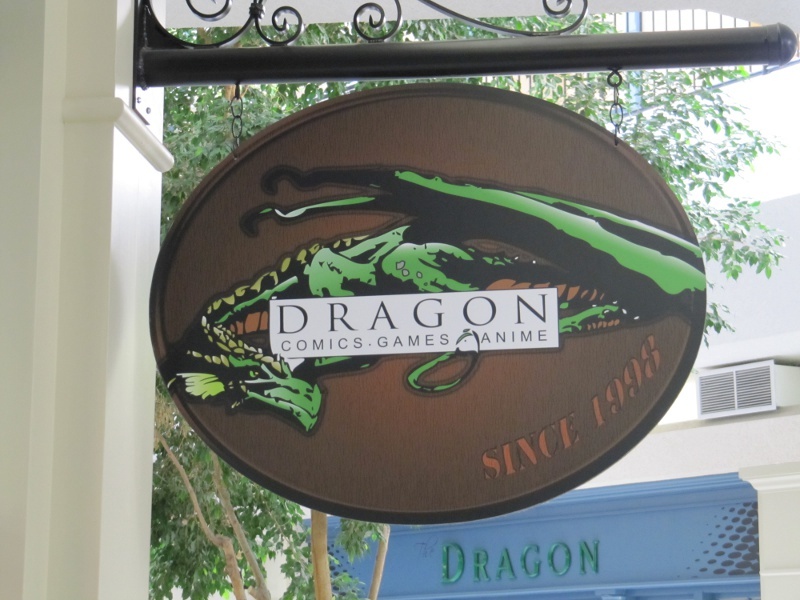 For a specialized field like comic books, a highly visible location can do more to promote your business than any amount of advertising so our location has worked out very well for us. How long has Another Dimension been in business for? The store opened in May, 1983 so over 26 years. Do you take part in Free Comic Book Day? 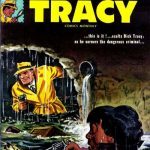 Does Another Dimension feature a back issue section? If so, what sort of areas do you focus on? 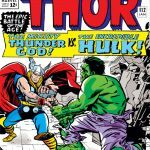 While back issues play a smaller role in our business than they once did, they are still an important part of the mix so we try to maintain a strong selection of Modern Age back issues along with a smattering of Bronze, Silver and Golden Age comics. We stock approximately 40,000 back issues in the store and have a few hundred thousand more in storage for back up. What do you think are the strongest assets of your store? Our selection. We maintain the largest stock of trade paperbacks in Western Canada (possibly all of Canada) and restock weekly. We also keep anywhere from four to twelve months of new issues available at cover price to help make it easier for customers to catch up on books they might have missed. Add in comic related toys, statues, posters, t-shirts, and collecting supplies and hopefully we’ve managed to provide a one-stop shopping experience for any comic book fan. With the growth of the internet, I believe it has become even more important for stores to have the items people want in stock when they want them. That's one massive selection of stuff right there! 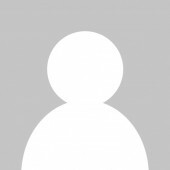 Do you offer a subscription service and what sort of incentives do you offer subscribers? We do offer a subscription service and pride ourselves on our accuracy. Over the last few years though, we have placed less emphasis on pre-ordering. With the massive number of titles being published each week I would rather not have customers feel obligated to buy something they no longer want or feel guilty about putting something back on the shelf. Since we try to order enough to avoid quick sellouts then, unless your tastes are especially obscure, you’ll be able to find everything you need on the shelves and have a bit more flexibility about what you’re buying each week. 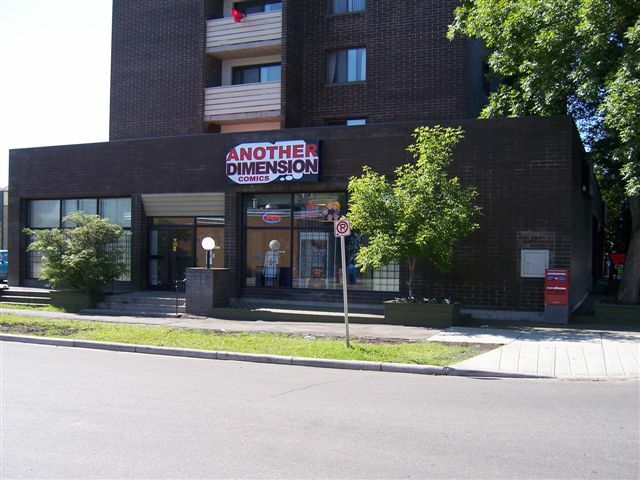 What approach do you think that Another Dimension has that sets it apart from other comic book stores? 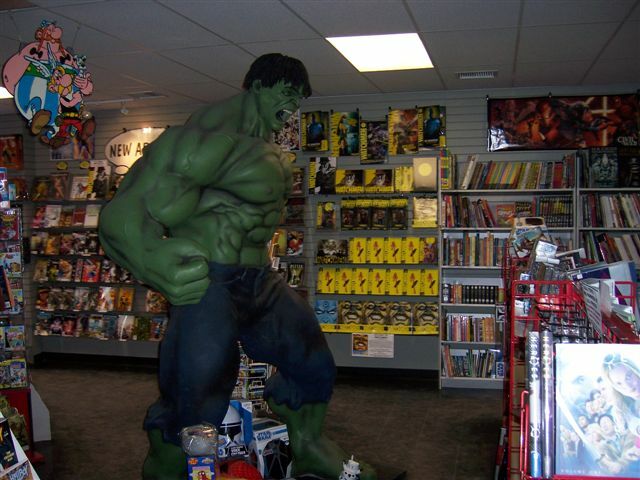 First and foremost, we have always treated our store like any other retail store as opposed to the stereotypical “comic book shop”. Creating a clean, well lit environment with professional quality fixtures and a helpful staff and being located in a busy shopping area has helped us to attract many new and casual readers, an ever growing number of which are female. Also, I think we stay ahead of the curve by being proactive and quick to adapt to a changing industry but at the same time never losing our focus on comic books. From pogs to Pokemon, we have steered clear of the quick fads that come along fads to concentrate on promoting the medium of comics. The other approach they don't mention is that they have the Hulk as a security guard. 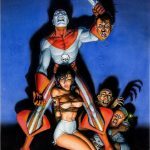 Are there any creator signings or visits to the store that you would like to boast about? With so many creators located on either the East or West coasts it is difficult (and expensive!) to bring many creators in for signings but we have had a few successful events in the past including a John Byrne signing and two appearances by Dave Sim. Riley Rossmo, artist of Image Comics’ Proof and the upcoming Cowboy Ninja Viking also works for us part-time in the store so I guess you could say we have signings several days a week! What are the various promotions you put on every year, whether it be Boxing Day or Anniversary sales and what do these promotions entail? Free Comic Book Day is by far our most successful promotional event. It has grown each year, bringing in hundreds of new faces and helping to spread awareness throughout our community. Besides FCBD, we like to keep our customers on their toes so rather than holding events on a regular schedule, they happen when the time is right. 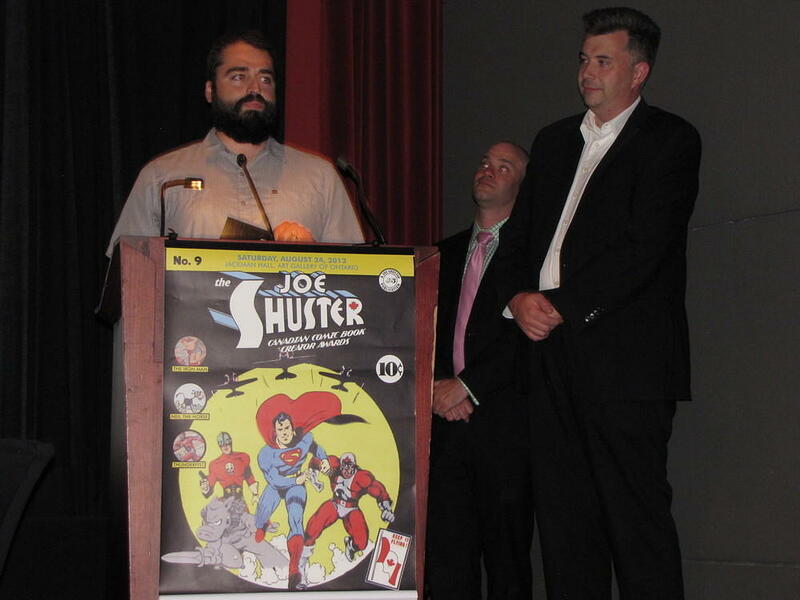 Our most recent event was the Marvel 70th Anniversary Party which was tremendously successful. Any store that promotes Asterix and Obelix and Uncle Scrooge deserves your business! Do you do special orders for customers in the monthly Previews catalogue? Of course. Barring international restrictions, we’re happy to order in anything our customers might want. You would think that after 26 years we would have everything all figured out but the store is still a work in progress and we plan to continue to improve and evolve in the future. We recently renovated our back issue section, converting the entire area to Drawer Boxes™, which freed up enough space to add several more shelving units which will help to better showcase our growing selection of trade paperbacks. What made you decide to get into comic book retailing and what is your comic book background? 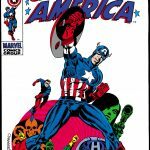 I started reading comics in 1973 and was immediately hooked on the Marvel Universe. 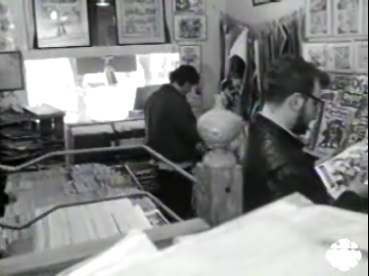 By the time I visited my first comic shop in 1979 (Doug Sulipa’s Comic World in Winnipeg), comics had become an obsession and being in a store completely devoted to them was like heaven. 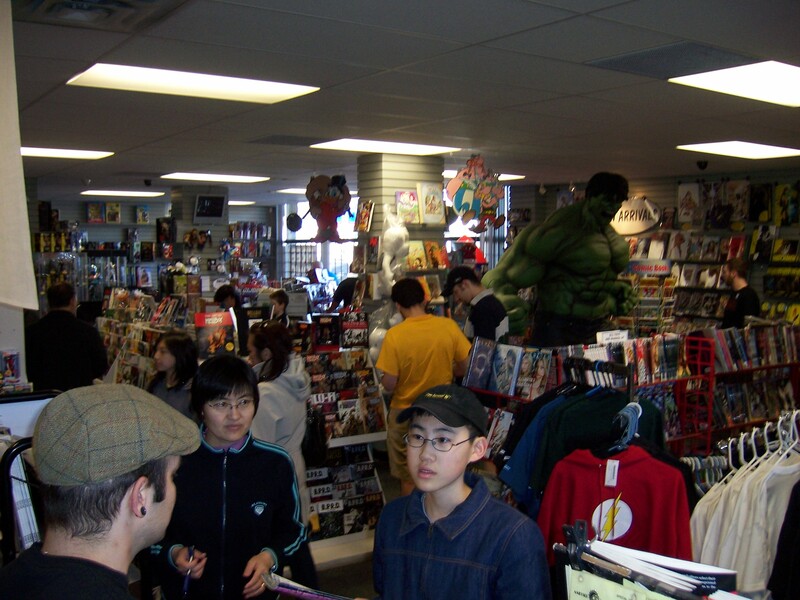 After my family moved to Alberta in 1980, I began hanging out in comic stores as much as possible and eventually ended up with a part time job at Another Dimension during my last year of high school. I never found a reason to leave and can’t think of any other work I would rather be doing. What’s the one title you wish you were selling more of and why? It’s a shame Agents of Atlas couldn’t have been saved from cancellation. I have always had a fondness for Marvel’s 1950’s characters and Jeff Parker was doing and amazing job of updating them. Hopefully, after their run as a backup feature in Incredible Hercules, Marvel will be willing to give Agents of Atlas another shot. What direction do you think the Comic Book Industry is moving in and where do you think we will be 5 years from now? A couple of months ago, I probably would have had a good answer for you but after the recent changes in ownership/leadership at Marvel and DC everything is up in the air. Both Disney and Time-Warner have the resources to potentially do amazing things for the comics industry but they now also have the power to marginalize comics even further. The next few months will be an interesting time. Regardless of the corporate maneuvering though, I remain optimistic for the future of comics. While it’s true that there aren’t enough younger kids reading comics, I do still see many new people getting into them all the time. The difference now is that the new readers are 16 or 20 years old, not 8 or 10. While it’s hard to find comics at the local convenience store, they’re now in bookstores, libraries, college courses and of course movie screens so many people are getting their first exposure to them at a later age. The idea of comic books as legitimate entertainment is more accepted now than it has ever been. It’s just a matter of getting comic books into everyone’s hands. PreviousCrazy Comic Cover: For Lovers Only #73 "Here Withers Love"
NextDear Warren Ellis, Will They Kill A President? 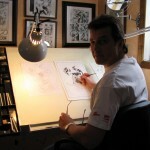 Congrats to The Dragon & Jennifer Haines: Eisner Winner!